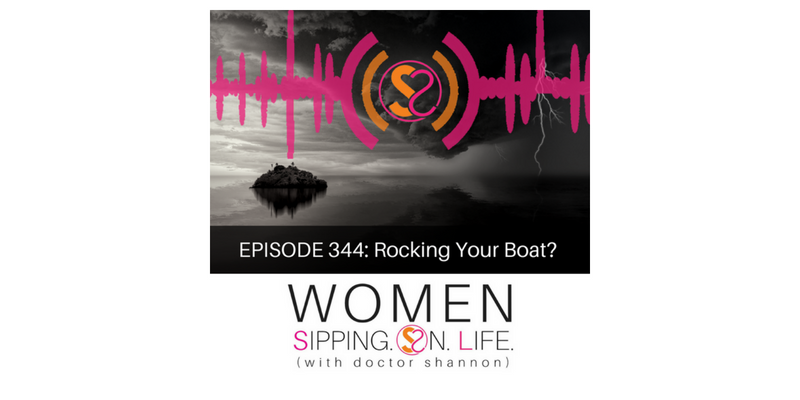 EPISODE 344: Rocking Your Boat? Are you willing to rock it? Yes, you must be willing to rock it a bit (or a lot), but NOT tip it over. NOT jump out of the boat. Like a rockstar…like NO ONE else can, but YOU? It will get rocky for a bit, but that’s your cue to redefine your fine. Find what you’re truly looking for. Instead of asking what your life can offer you, what are YOU willing to offer IT? Fully. Certainly. Crazily. Like ALL THE WAY. Know what you desire…design and get it. Because your ROCK STAR LIFE depends on YOU!! – Where is my boat rocking right now? – Where am I willing to rock my boat? – What am I doing right now — how am I rocking my boat?